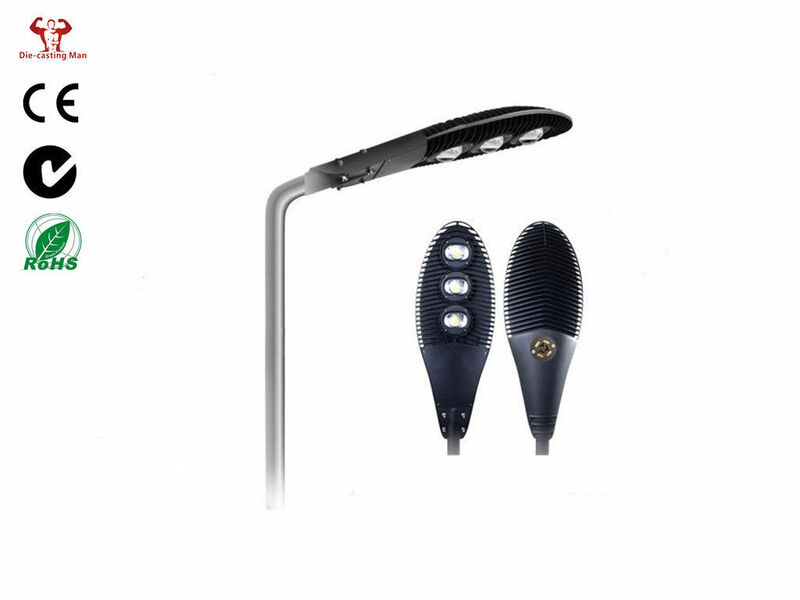 ·High power led street light,it's a typical green lighting. ·Low Operating Temperature:Never fever or burn out the cover. ·Environment Friendly :Without harmful radiation and lead-free. ·Low Tension:Much more safe to fix up. High quality glass lens, light transmission rate of 95%, higher than ordinary PC and PMMA lens; and high temperature, the softening and aging problem does not occur, stable performance; and good light distribution to form a wide-wing lighting effects and good lighting uniformity. Chip: American CREE high power LED luminous source, with LM-80 test report, providing excellent lumen output and high CRI, is compatible with Bridgelux, Sharp, Nichia COB LED source as well. Driver: MeanWell / Inventronics optional (other brand of driver upon request); Class I or Class II available. 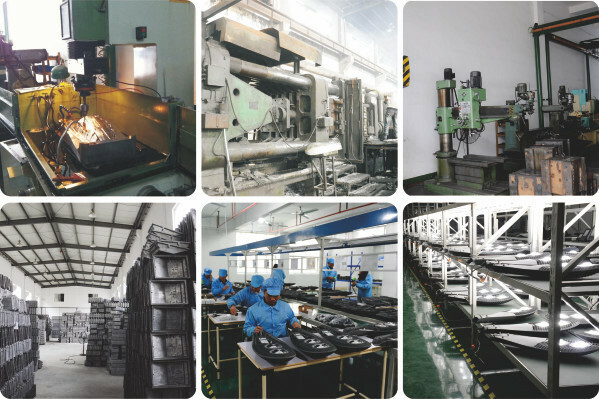 1) We are not only a die casting factory, but also a factory consist of a completed lighting design team, tooling and mold development workshop, auto-painting finishing lines, assembly lines, and completed lighting products testing. 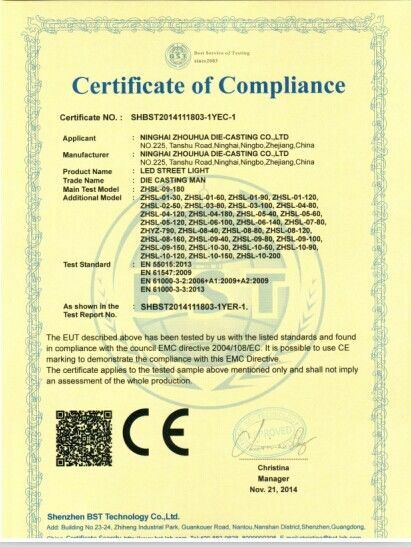 2) All of the material and finished products will be tested under the ISO9001 quality control system. 3) We have many advanced equipments, such as semi-automatic die cast machines, CNC treatment, and full sets of completed lights IP testing, lumen test ,aging test, and photometric testing equipments. 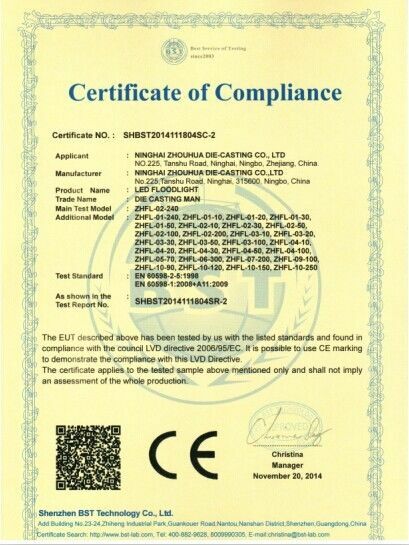 All those facilities make sure the quality is approved by CE, RoHS, TUV certificate. 4) Our team develops new items every year according to different market’s style. The products rang is including LED street light, LED urban light, LED High bay light and LED tunnel light. 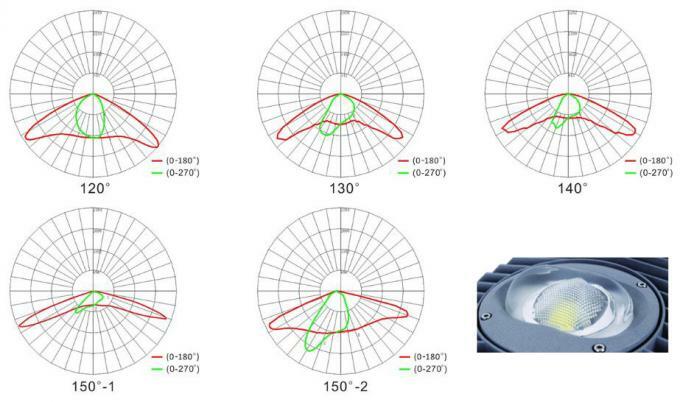 Our new patent design of led street lights is very popular in the market. 5) In order to meet more and more requirements of customers, we offer ODM and OEM good service. Welcome to contact the sales and visit Zhouhua factory to discuss face to face.